According to Variety, director Noah Baumbach has lined up the cast of his next film after Netflix’s The Meyerowitz Stories. 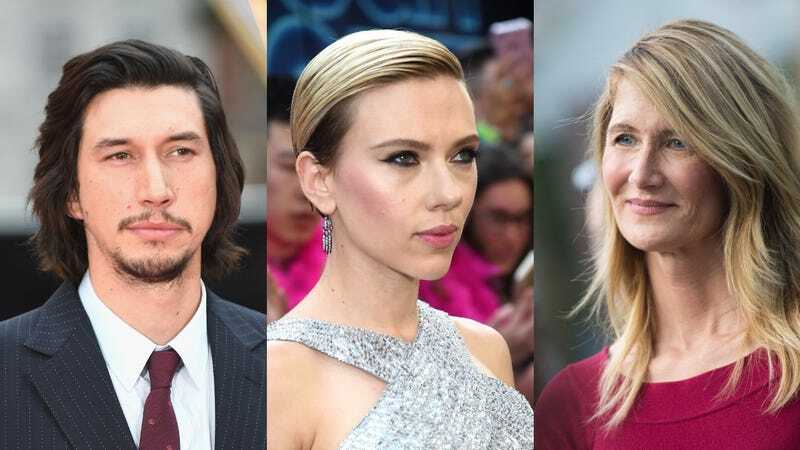 We don’t know anything about the plot or the title, but it will reportedly be starring Adam Driver, Laura Dern, Scarlett Johansson, Merritt Wever, and Azhy Robertson. Driver and Dern will next appear in Star Wars: The Last Jedi while Johansson is currently filming Avengers: Infinity War, but it seems safe to assume that this movie—whatever it is—will be nothing like either of them. Unless, of course, Baumbach decides to take a wildly different approach to filmmaking and starts developing superhero space opera, which would probably be cool. Like Meyerowitz Stories, this untitled movie will also be financed and distributed by Netflix, and Baumbach will write it as well as direct it.